/Black Hole is an easy on / easy off glaze for dark coloured vehicles. Black Hole helps bring out the most from dark colours and helps to hide light swirls, scratches and paint imperfections. Black Hole is designed for detailers, enthusiasts and show car owners who want the best, deepest, & wettest shine available. 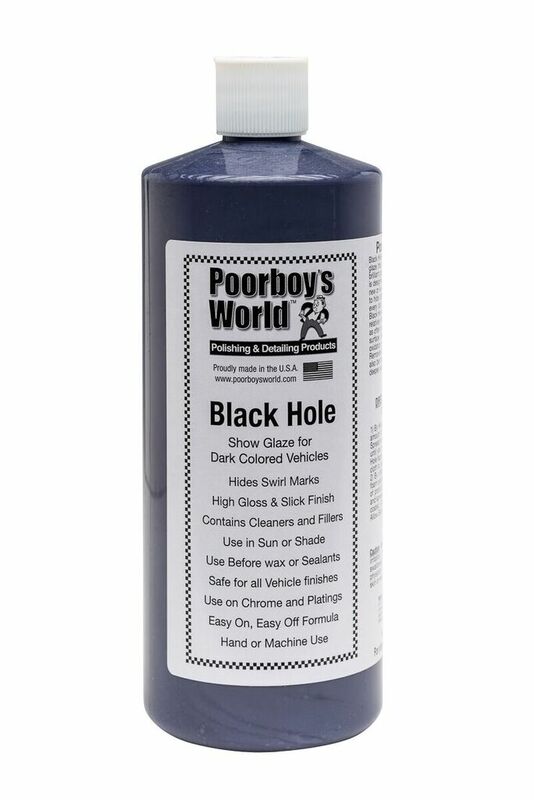 Black Hole can be applied as often as needed and can be topped with waxes or sealants, or just left alone for show vehicles. Black Hole can be applied by hand or machine.